As the go-to browser for millions worldwide, Chrome makes web surfing a breeze with its simple interface and Google integration. But many websites are starting to ask if they can send you notifications, and this can interrupt your browsing. Thankfully, you can completely disable these prompts if you prefer. That's not to say these prompts are useless. For instance, you could allow Facebook to send you notifications, then uninstall the Facebook app without losing much functionality since the mobile site would notify you of new messages. This was largely what Google had in mind when they added this feature to Chrome, but websites are starting to abuse it. Fortunately, disabling this feature on your Android device is pretty easy. 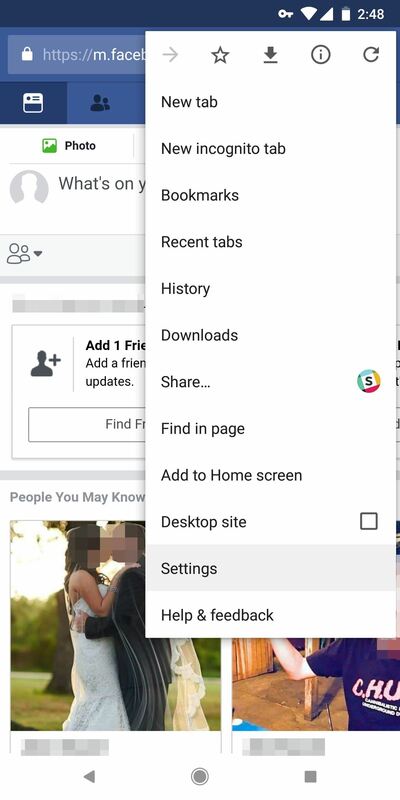 To turn off pesky notification prompts and stop notifications from appearing even while you're not using your browser, open Chrome and tap the menu button to the right of the address bar. 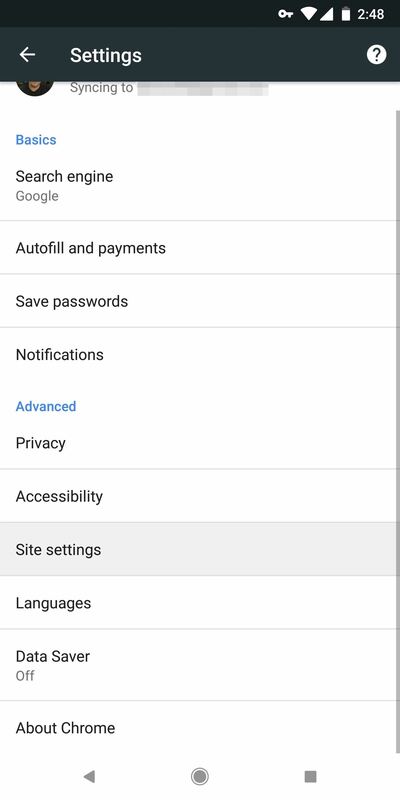 Tap on "Settings" from the menu that appears, then select "Site Settings" on the following page. 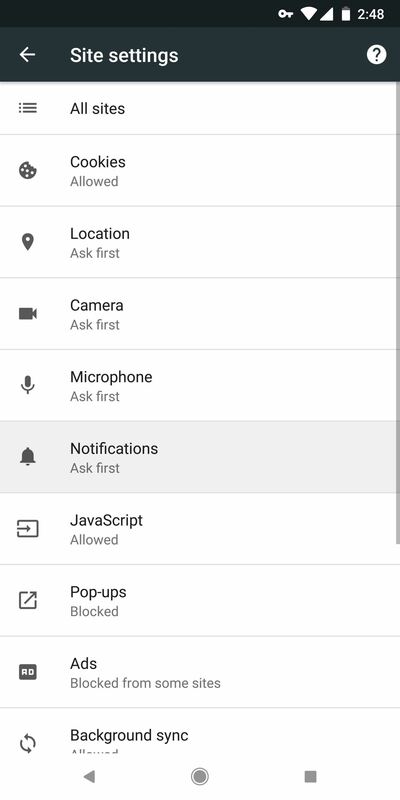 Within "Site Settings," select "Notifications," then tap on the toggle at the top of the page to disable the feature. 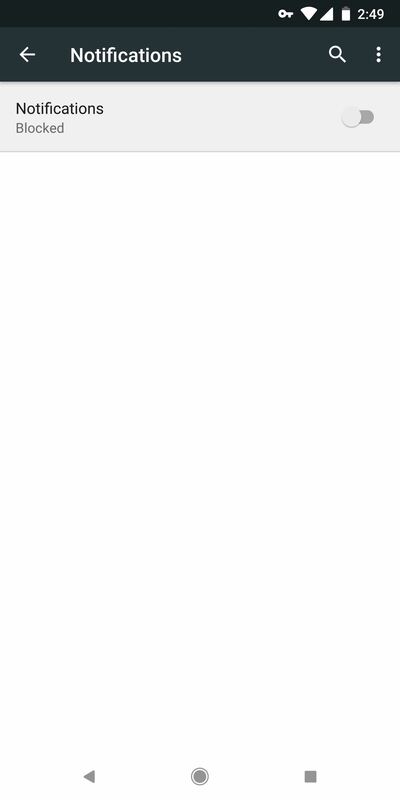 This will block notifications from any site you've approved in the past, and it will also prevent any other sites from asking for permission to send you notifications.